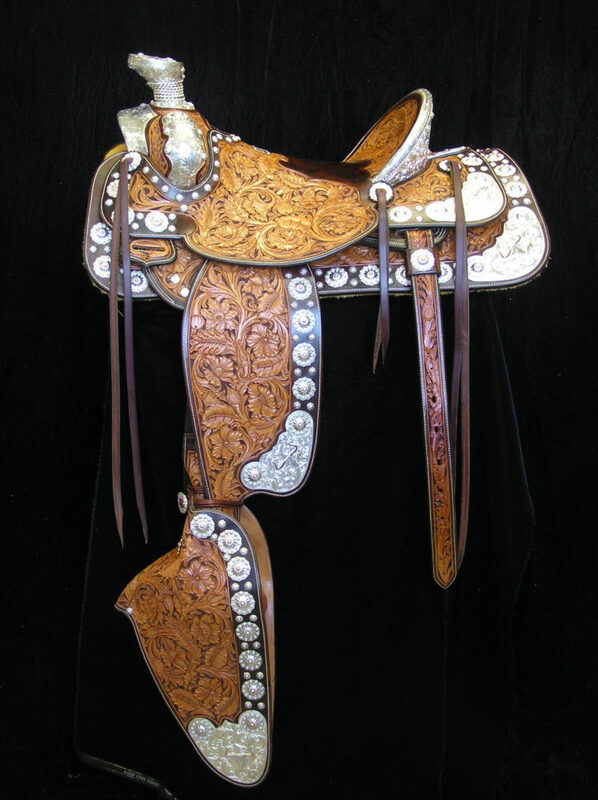 The saddle is built on a Will James Stockman style tree, with a semi quarter horse gullet on Doug Cox bars. 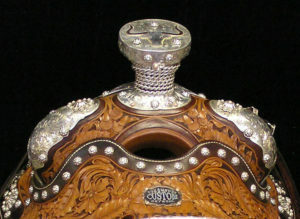 It has a 13 1/2 inch wide swell, a number 4 dally horn 3 ½ inch high with a 4 ¼ inch cap, a shovel cantle 4 inches high. 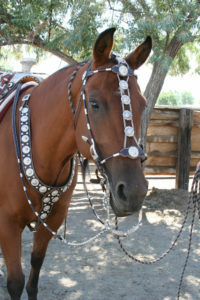 A 7/8 flatplate double rigging, medium square skirts, regular fenders with half double stirrup leathers, and quick change buckles. Slideloop billets with regular 4 1/2 inch wide back cincha with tunnel loops. 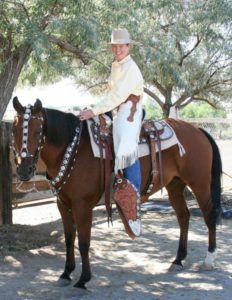 2 1/2 inch Visalia monel stirrup in side 20 inch one piece taps. A Number 4 Mixed flower hand carving with dyed background and borders. 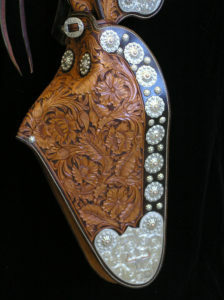 All parts are doubled and stitched, lined with Number one carving leather. 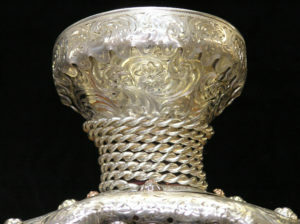 All the silver mounting are heavy gauge solid sterling silver and overlaid trim is 12 karat rose gold. 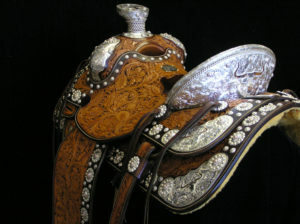 The saddle comes with matching Bridle and Martingale, and Glass museum case. 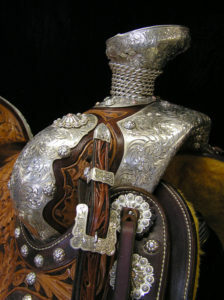 This saddle has been on display at the Carriage House Museum in Santa Ynez, California, The Museum in Paso Robles, California. 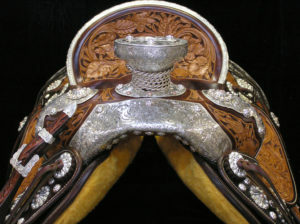 It was one of the only two contemporary artist works on display at the Art of The Western Saddle exhibit held at the Quarter Horse Hall of Fame in Amarillo, Texas for 16 Months in 2009.